Both the volunteers and their dogs. We visit 9 adopted homes and 6 adhoc venues. on the roles of therapy dogs. 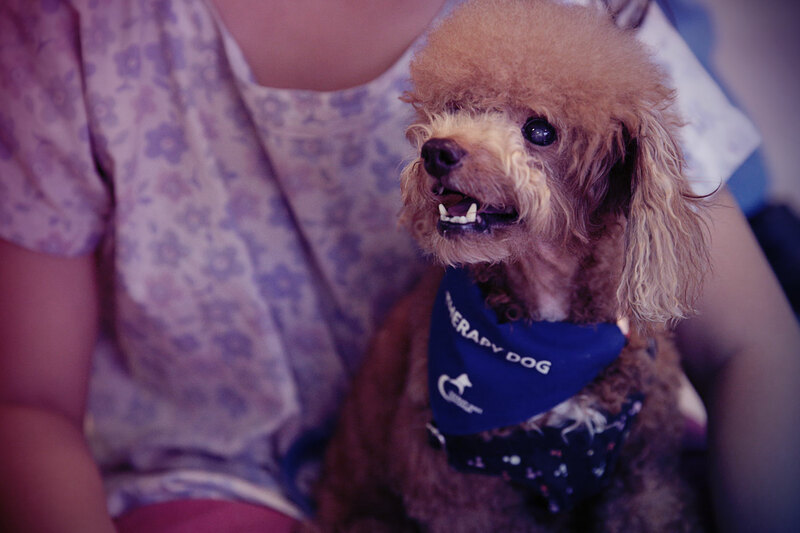 THERAPY DOGS SINGAPORE (TDS) is a non­-profit voluntary welfare group committed to reaching out to society’s disadvantaged through pet-­assisted therapy. During regular sessions with beneficiaries, members and their canine companions work to meet physical, social and ­emotional needs. 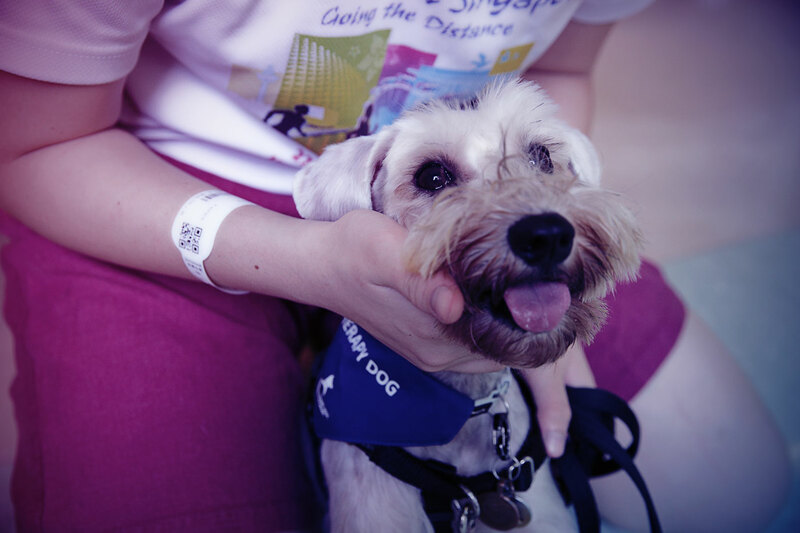 Pet Assisted Therapy (PAT) is being recognized more and more around the world for the positive impact it can have in the lives of many people – from children and the elderly, to people with disabilities. TDS carries out two branches of PAT: AAA and AAT. Do you want to know where we are heading next? You can check out our events page for the calendar of activities. Schedule of visits to our adopted homes and adhoc venues are placed here, so you can mark your calendar in advance. Why not join us in our cause? Volunteers should be committed and emotionally prepared. Other important traits include being able to lend a listening ear, create positive effects and exercise full control of their dog.